Traditional hot stamping requires a special metal hot stamping plate. The hot stamping material is transferred to the surface of the printing material by heating and pressing, and the speed is relatively slow to feed the paper, which is difficult to be hot stamped with the offset printing. Offset online hot stamping technology is to paste the image to be stamped onto the surface of the substrate through the adhesive under normal temperature conditions. The realization method is to directly use two units of the original offset printing machine, a set of printing glue layer and a set of transfer metal hot stamping foil. Advantages: hot stamping speed, high efficiency; one-time paper-printing and metal foil transfer digital printing, high registration accuracy; the resolution of cold-hot plate can reach the resolution of offset printing plate, hot stamping can be printed At normal temperature, it can be stamped on the surface of temperature-sensitive materials without heating; saving energy. The web bronzing machine has taken the lead in mature application in China's cigarette package market, and will achieve greater development as the market demand for high-efficiency, high-quality hot stamping jobs increases. At present, the more mature enterprises are: Changde Jinpeng Printing Co., Ltd., Yunnan Qiaotong Packaging and Printing Co., Ltd., Yunnan Yuxi Printing Co., Ltd., Chongqing Hongsheng Printing Co., Ltd., Yunnan Jiujiu Printing Co., Ltd. and Dongguan Zhiyuan Color Printing Co., Ltd. Company, etc. Enterprises that often encounter large batches, high bronzing process requirements, and short customer delivery schedules can focus on web bronzing technology. Laser holographic laser transfer paper is a new type of packaging material that is widely used in the packaging and printing industry at home and abroad. However, a major problem is that it is easy to produce laser-type seam RIP when printing on a rotary gravure printing machine, which causes great waste. At present, there are mainly two fixed-length stretch composite printing avoidance laser seam sewing technology solutions. Packaging and printing companies can make reasonable choices based on their own funds and actual production. If the company has a rotary gravure printing equipment, it can use the off-line solution to suppress the irregularities, and purchase the laser aluminized transfer paper that can avoid the seams from the composite paper manufacturer, and only need to modify the paper feeding mechanism of the original rotary printing equipment. Yes, the investment risk and technical risk of the company are small. The laser pattern imprinting transfer technology is a high-tech that integrates decoration, anti-counterfeiting and environmental protection. Its outstanding advantages are: it meets environmental protection requirements, and the anti-counterfeiting effect is good, and the production cost is reduced. In a sense, a combination printing press is no longer simply a printing device, but a streamlined production line that integrates multiple printing and finishing processes. Combination printing is a combination of various printing process technologies, that is, integrating multiple printing methods (such as flexo, offset, gravure, screen printing, or even digital printing) and post-press processing on the same production line ( Such as light, film, die-cutting, indentation, hot stamping, embossing, etc., combine the advantages of various printing and post-press processing methods, and complement each other to obtain the best printing effect. Paper and paper containers play a very important role in the modern packaging industry. In China, paper materials account for about 40% of the total packaging materials. From the perspective of development trends, the amount of paper packaging will increase. The fact that paper packaging materials stand out in the packaging field is attributed to a series of unique advantages, such as: good processing performance, excellent printing performance, certain mechanical properties, easy compound processing, good hygiene and safety, wide source of raw materials, and easy formation. Mass production, variety, low cost, light weight, easy to transport, waste can be recycled; and plastic used as packaging material is an important symbol of modern technology development, rich in raw materials, low cost, excellent performance, nearly 40 The fastest growing and large amount of packaging materials in the world in the past year. However, plastic packaging materials have obvious shortcomings in food packaging, and there are some problems in terms of hygiene and safety and environmental pollution caused by packaging waste. According to some data, the amount of plastic used for food packaging accounts for 1/4 of the total output of plastics. It can be said that when plastics used for food packaging appear, there will be garbage. In supermarkets and shopping malls, many food packaging is made of plastic. The plastic inflatable packaging of puffed food can prevent moisture, oxidation, scent, block sunlight and prevent extrusion, but such a large package is a great waste in resources; there are far more instant packaging, plastic packaging The packaging price of paper bowls (or barrels), the market price of bowls or barrels of instant noodles is generally higher than 1/3 of the sales price of instant noodles with the same quality, but this type of packaging is convenient to eat, especially when traveling. After the lid is opened, it can be eaten directly by hot water, and it is not necessary to bring other containers, so it is very popular among consumers. As environmental protection requirements increase, it is necessary for consumers to eliminate outdated packaging. Improvements in plastic materials are also a priority. The food on the market segment can be used as much as possible in paper packaging to reduce the waste of plastic and environmental pollution, which is also beneficial for future generations. The rapid development of China's food industry provides a broad space for paper packaging. It is expected that the circular economy will become the main mode of development of the packaging industry in the future, the recycling of packaging waste resources will be industrialized, the green packaging materials will be vigorously developed and developed, and the packaging infrastructure industry will also accelerate development. The world of packaging in the future is made of paper, and the world calls for green packaging and cherish our homes. Paper technology will be widely used in the packaging industry. 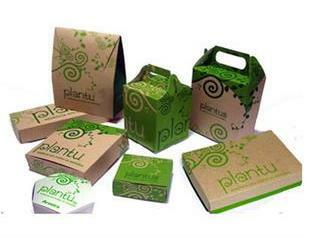 Green packaging will become the main trend of the development of the bakery food packaging industry in the future. However, paper-based wood, paper-based plastic, paper-based glass, and paper-based metal have become sustainable. The consensus of development. Paper materials have more renewable natural materials and more environmentally friendly recycling, fully demonstrating the development potential of paper materials. Under the trend of homogenization of various commodities today, packaging has become an important factor in the third-class sales and brand image after product quality and after-sales service. Packaging from the original product protection and easy to use functions, to increase the value of goods, brand building, and promote sales. Custom packaging design has become an important part of the merchandising program. As the first of the four major packaging types, paper packaging will be more diverse in shapes and patterns, more creative, with the continuous development of paper materials and processing technology. When we buy something, what do we want to buy is a product or a package? Of course the product itself! But some merchants use "packaging" to fool us! In the past Shanghai Energy Conservation Publicity Week, the Shanghai Quality Supervision Bureau conducted a surprise inspection to find 62 suspected "over-packaged" goods. The surprise inspection on June 16 was carried out simultaneously at Gubei Carrefour on Shangchengcheng Road and the first food store on Nanjing East Road. On the Gubei City Road, Gubei Carrefour, the Shanghai Municipal Bureau of Quality Supervision opened a Changyu gift wine box with a price of 288 yuan. This gift box contains two bottles of red wine, but because of the addition of a carriage-like craft in the middle, the package gap is particularly large. Song Jiayu, an engineer at the Shanghai Metrological Compulsory Certification Center, explained that the packaging void rate of alcoholic products should not exceed 55% according to national requirements. "But this gift box itself is relatively large, plus a crafts attached, so the packaging gap is too large. Return to the lab for further accurate measurements." In the same supermarket, a price of 362 yuan Tiepi Fengdou granules, 24 packets of granules, remove the layer packaging, accounted for less than one-fifth of the volume of the box, the packaging gap is obviously too large. On June 18, the Shanghai Municipal Quality Supervision Bureau revealed that in fact, excessive packaging of goods is very harmful, not only wasting resources and polluting the environment, but also causing high commodity prices, damaging consumer interests, disrupting market order and contributing to luxury corruption. According to data from the Shanghai Municipal Quality Supervision Bureau, from the third quarter of 2016 to the first quarter of 2017, Shanghai has carried out several special inspections on the packaging of health foods, beverages, cosmetics, tea and other products sold in the market. Through inspections, it is found that there are still obvious over-packaging problems in health foods, beverages, tea, bee products and some other foods. The main problem is that the packaging void rate is large. The liquor products produced by Luzhou Laojiao and Guizhou Moutai Winery Group Technology Development Company have long been listed as “black list” for over-packaging; in the field of health care products, products such as Tomson Becker, Kangfulai and Ang Li have been sold. Several times, it was found that there was an over-packaging problem, and many of the products that had been on the “black list” did not even undergo rectification for a long time. In the results of the spot checks in 2016 and 2015, it was found that By-Health Protein Powder, ONLY Yangshen Capsule and Jinri Zisheng Oral Liquid were continuously on the list. Zhou Yibin, a captain of the Law Enforcement Corps of the Shanghai Municipal Bureau of Quality and Technical Supervision, 90% of the products sold in Shanghai are produced in the field, and the products involved in over-packaging come from other places. The quality supervision department can only impose penalties on the sellers, but not on the manufacturers. Jurisdiction is also difficult to govern from the source. However, Shanghai is the first city in the country to over-package local legislation. Since the legislation in 2013, it has been found that 589 batches of products have excessive packaging problems. For enterprises that refuse to make corrections, Shanghai will deal with them according to the law. If the circumstances are serious, they will be punished by 20,000-50,000 yuan. If the deadline is not corrected, a fine of 2000-20000 yuan will be imposed. Kraft Heinz announced recently that by 2025, the company will use 100% recyclable, reusable or degradable packaging material worldwide, and increase the use of recycled materials and set scientific and reasonable emission reduction targets. As part of its commitment to reducing the use of natural resources and managing the environmental footprint, Kraft Heinz will set a time frame for increasing the sustainability of packaging and setting reasonable greenhouse gas reductions. Specifically, Kraft Heinz supports the development of a circular economy and is committed to using recyclable, reusable and degradable packaging worldwide around 2025. At present, the company has cooperated with the International Environmental Packaging Organization (EPI) in consulting, tracking and other packaging professional services. In the future, it will explore relevant solutions with packaging experts and related alliances from technology, recycling and infrastructure. In addition, Kraft Heinz will reduce the total use of packaging materials while further improving the recycling efficiency of packaging materials. “The modern industrial economy faces enormous challenges in packaging recycling, the use of used products and the disposal of disposable plastics,” said CEO Bernardo Hees. “Even if it can't be completely resolved, it will continue to benefit the present and the next generation. Eco-environment, we must actively look for better packaging solutions to improve recycling rates through practical actions." The color gift packaging boxes generally refer to fancy gift boxes made of paperboard, fine corrugated cardboard, chipboard, stock cards and MDF fiberboard. They have the characteristics of light weight, portability, wide source of raw materials, environmental protection and exquisite printing. These paper packaging boxes are widely used industries like food, alcohol, medicine, cosmetics, tobacco, electronic products, etc. And varied types of surface treatment may usually be applied, such as foil stamping, die-cut, embossing, matte/glossy lamination and UV coating etc. Gift boxes are the perfect packaging for any product, they come in all shapes and sizes to meet any need. Boxes offer more protection than a typical gift bag and have the added benefit of stacking nicely. (all our gift boxes are sold by the case). Innove is a leading custom cardboard gift boxes supplier from China, offering various fancy setup gift box packaging products and custom box designs service. 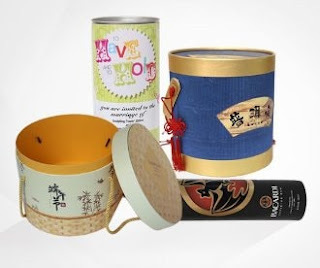 The product lines include personalized odd shaped boxes, round boxes, square boxes, rectangular boxes, telescoping boxes, shoulder boxes, cardboard drawer boxes, collapsible gift boxes, explosion gift boxes, cardboard window boxes, nesting gift boxes sets, Gourmet Cookie Gift Boxes, Flat Desserts Boxes, cardboard flower, gift boxes, jewelry gift boxes, Luxury Apparel Boxes, T-shirt Packaging Boxes with Clear Lids, etc.